As we are approaching the holiday season we are excited to announce our latest discounted sewing pattern bundle, the Ellen Short and Portia Top – available in Paper Single Size, Paper Multi-Size, PDF Single Size, PDF Multi Size patterns (Yes! There are SO many formats now) and on Etsy. Buy them separately or save 20% when you buy the discounted bundle! Planning a summer getaway surrounded by friends, good vibes, food and some sunshine? What’s not to love about warmer weather? When new seasons roll around you are often left scratching your head thinking what did I wear last year? Well if you’re in need of a wardrobe update to take you to the casual BBQ, or you are just looking for some new holiday wardrobe staples then Ellen and Portia will have you covered (Paper, PDF, Etsy). This discounted pattern bundle is impressive because the pieces work beautifully together, but on the other hand work well with pieces in your existing wardrobe. Light and airy, our Portia button through cami (Paper or PDF, Etsy) has a silhouette that skims the body for those warm days. You can purchase this pattern on its own or in the bundle for a discounted price. 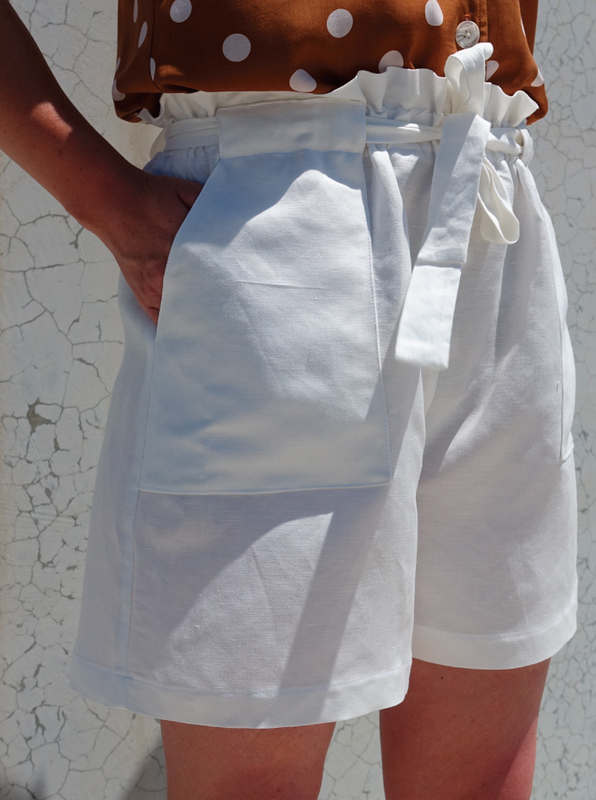 Our Ellen short (Paper or PDF, Etsy) has a relaxed silhouette with an elastic waist for comfort, and front patch pockets that are cleverly designed to create belt loops that sit on the paper bag waist. 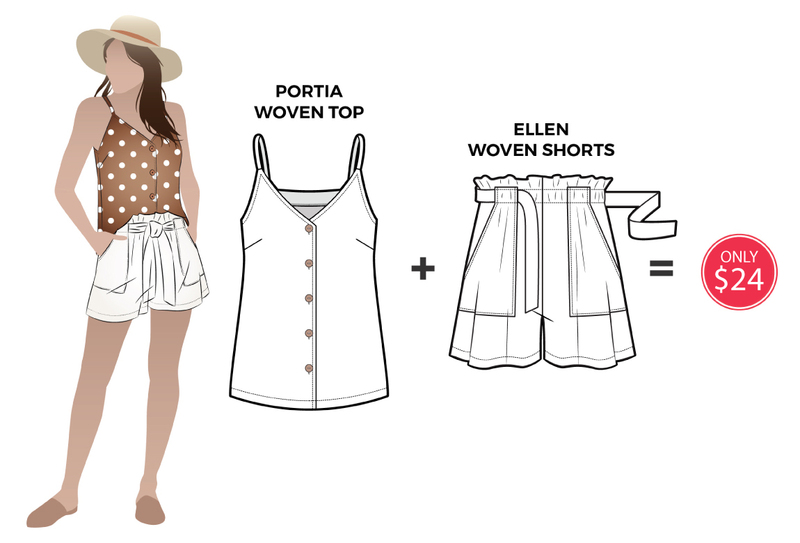 The Ellen and Portia set are both casual and stylish all at the same time.